There are several reasons why we love to change the home we live in. One of the most common reasons we have to change and remodel our homes is for the needs of the family. We all know as our families grow and become older that we move into different needs as our smaller children become teenagers and the eventually grow into homes of their own. It is for this reason that a remodeling project is inevitable. 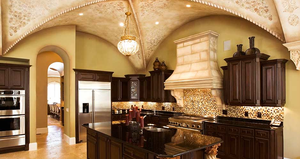 Our society changes from year to year and in order for us to keep up with the changing trends we must also remodel our home with the help of remodeling expert to keep them up to date with these modern changes. The changes are also necessary to keep the value of our homes from dropping. There are many things that can be done to upgrade your home to the changes that will fit your family as well as improving the value of your home. We will look at some of the most popular trends of today and what to look for in the upcoming 2016 year picked by the interior designers. In the past brick and stone siding has been one of the most popular choices of the remodeling contractors, when it comes to a maintenance free exterior. Brick homes combined with other masonry applications such as stone and stucco were used because they would stand up to any kind of weather conditions without deteriorating. As the choices of home styles changed siding became a popular choice for the style of home that were being produced. Victorian style homes as well as cottage style home are becoming more and more popular. 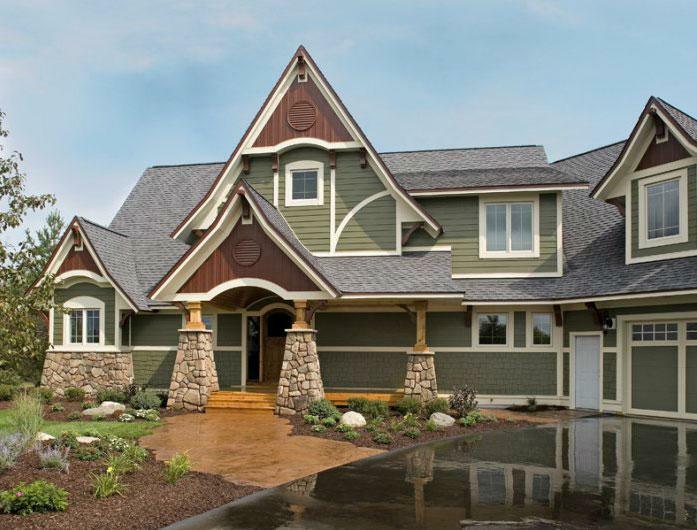 In order to obtain the look that is needed for this type of home vertical siding is being used more often. Hardi Plank which is a cement fiber board is becoming a great low maintenance siding choice. Vinyl siding is also becoming more popular with more color and style choice to choose from today. There are many options listed down by kitchen designers, that will help you upgrade the kitchen without tearing the entire kitchen out. The use of modern equipment such as hands free faucets is becoming very popular. Modern appliances not only allow convenient use of them, but are also designed to get a larger task completed using less energy. Energy Star rated appliances as well as water saving faucets help us conserve energy while saving money. There are also many storage applications that will help you to become more organized enabling you to make better use of the space provide in your kitchen. Look for small upgrade opportunities by creating 3D kitchen renderings, that will make a big difference in the kitchen in 2016. Working at home has become easier to accomplish each year. Many people have developed small companies in the garage because of the development of the internet. Many people have also turned to doing freelance work out of their own offices at home. This is why converting unused room into office space is becoming a growing trend for each family. With the need of becoming more organized and keeping up with the family business has also called for a place to do work and keep organized. Home offices are being converted and added to many more homes today than ever before. Modern furniture has also been developed to use in the home office to make it feel more like a part of a home than a regular office. Look for 3D interior designers to design home office, that would to be added to homes in the next few years. Laundry rooms of the past were usually located downstairs in the basement or out on the carport away from the main living areas. This was mainly because of the noise that was created by the use of the washer and dryer. This location was very inconvenient when you had to haul loads of clothes downstairs or out to the garage. 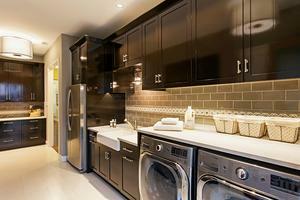 Vast improvements have been produced that allows a much quieter and convenient operation for the washer and dryer. Louvered washer closets allow for the washer and dryer to be located inside the main living area of the home that makes this task quieter as well as much more convenient to have the everyday chore of the laundry taken care of. With some of the larger households convertible spaces are becoming very popular. Furniture is being used today that can provide a desk and work area during the day and then convert into a sleeping area at the end of a long day. Much like the days of the Murphy bed where a bed was stored in the wall and pulled down when needed this space saving option is fast becoming a growing trend when remodeling and making the choices as to what type of furniture will be used in our homes. Convertible living spaces are very popular with families that have older children that are in high school or college. Home office are using convertible furniture that will convert into a guest room when the need may arise. 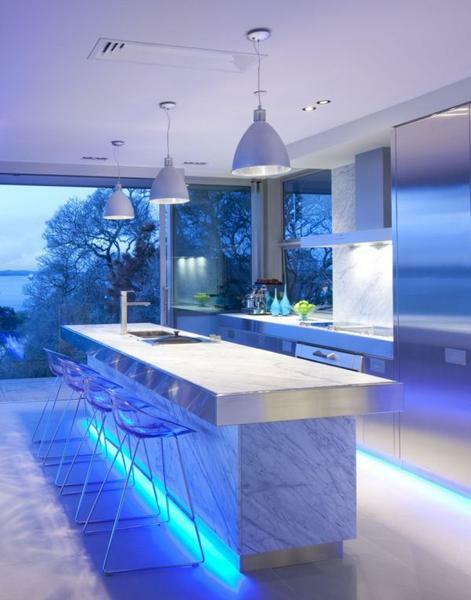 One of the biggest trends to look for in 2016 is LED lighting. In the past few years there have been a lot of family’s convert from the older incandescent bulbs to energy saving CFL’s. The CFL bulbs did not only save energy they were also cooler burning and did not generate unwanted heat in the home. CFL bulbs are a great way to save energy. Today an even bigger conversion is taking place converting to LED lighting which will not only save even more energy but will also provide brighter lighting options in the home or office. Led bulbs are available to fit almost any type of fixtures that you have in your home. This will make the conversion process to LED lighting much more affordable and easier. Whole home automation systems are easier to install and maintain today than ever before. Home automation can begin by purchasing simple plugin adaptors that floor lamps and other appliance can be plugged into. These plugin adaptors can be controlled with apps for the smartphone and tablets that are included in the kits that you can purchase. With the many WIFI developments that have been produced today whole home automation is easier now than ever before. Around the clock monitoring of your home can be accomplished by you without having to pay a monthly monitoring fee. Having complete control of your home while you are away will be a goal of a lot of homeowners in 2016. Some other necessary accessories in this area are motion detector cameras, great home security features, such as Nest Cam. Outdoor entertainment has always been a great family pastime. There have been many trends and developments that has made it much easier for anyone to create an area for outdoor cooking and entertainment. 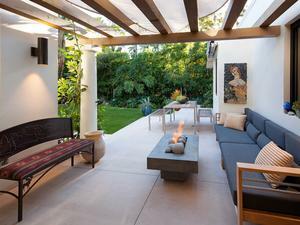 With the development of outdoor fireplaces outdoor entertainment can be done year round. One of the great options that is fast becoming a favorite is the outdoor pizza and baking oven that is constructed of stone and brick. 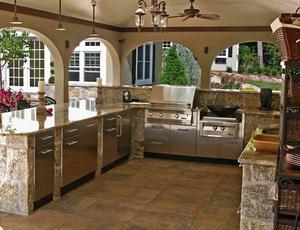 Many of these outdoor cooking areas contain gas ovens and grills that can be used all year round. 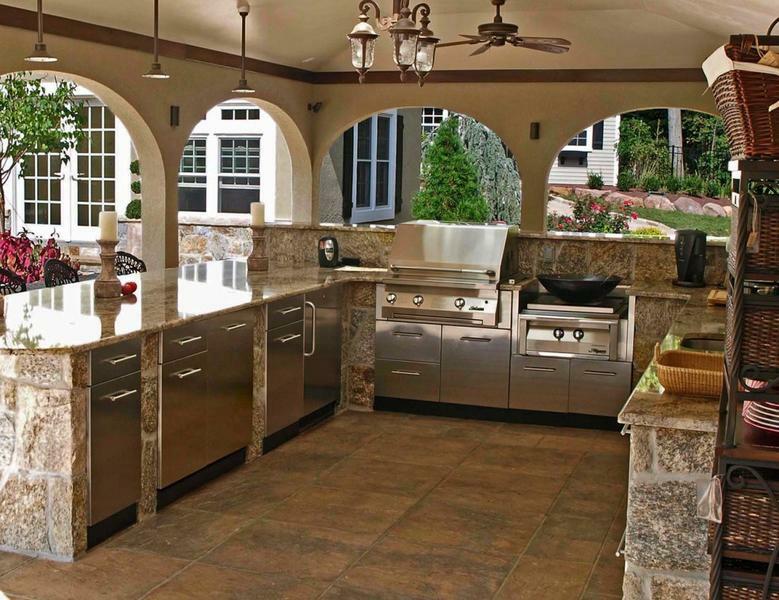 The outdoor cooking area will also help to keep you house cooler in the summer. Outdoor cooking area will become even more popular in the upcoming year. Conservatories are fast becoming another option when it comes to outdoor living areas. Conservatories are much different from other outdoor living areas because these areas can totally be closed off from the outside. Most of the conservatories are constructed by using wooden, aluminum, or vinyl frames that are then inserted with glass. This creates an outdoor living area that works much like a green house. Outdoor conservatories will provide an excellent escape during the winter to retrieve to and feel the warmth of the sun while being protected from the cool temperature of the outside. There are conservatory designs that will allow your outdoor are to be constructed away from your home in the middle of your lawn or garden. Most commonly they are connected to your home in some way allowing for access from a living room or bedroom. You can still use these outdoor living getaways in the summer because the construction of the conservatory will allow for the windows to be opened taking advantage of the fall and spring breezes. Regardless of the home trends you decide to take advantage of you will still find the need for storage to help organize and prevent clutter. Using every space, you have available will create more room in your home than you really thought was possible. With the development of storage containers and storage techniques look for families to become more organized in the upcoming year. These are just a few of the most popular trends that you can consider if you are looking to remodel your home. Regardless of why you choose to remodel your home there is something that you can do that will help to create the areas your family needs while adding value to your home. Visit a local home and garden show in your area to see the latest trends that are available for you to take advantage of.